Available in adult sizes: Small - 2X. 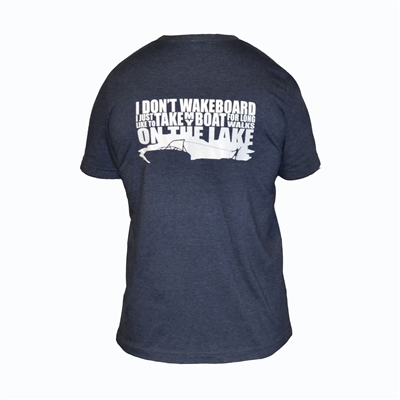 Back image - " I don't wakeboard I just like to take my boat for long walks on the lake"
Available in adult sizes: Small - XL. 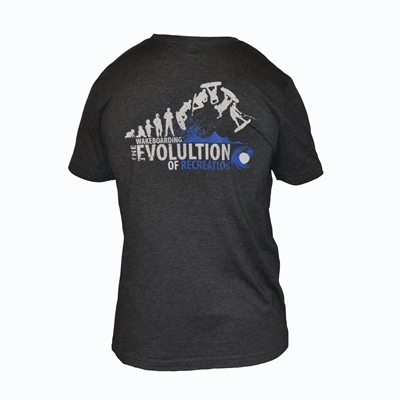 Back image - "The wakeboarding evolution of recreation"